Meg and Roger Taylor have been advising and helping create window images for over 12 years. Their belief in providing the complete solution and going the extra mile has elevated them to one of Brisbane's most respected providers of stylish window solutions. Their high level of service is duplicated throughout their team and is demonstrated in their attention to detail and professional conduct. The architects and designers that work with window image do so knowing that every aspect required for each projects' window furnishings will be taken care of with precision and perfection every time. 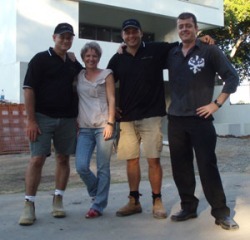 Meg, Roger and The Team look forward to providing you with that same level of assurance for your next project.